KHARDUNG LA (Khardung Pass, la means pass in Tibetan) at 5,359 m (17,582 ft) elevation is a high mountain pass located in Ladakh region of the Indian state of Jammu and Kashmir. The local pronunciation is "Khardong La" or "Khardzong La," but, as with most names in Ladakh, the romanised spelling varies. The pass on the Ladakh Range lies north of Leh and is the gateway to the Siachen Glacier lies partway up the latter valley. Built in 1976, it was opened to motor vehicles in 1988 and has since seen many automobile, motorbike and mountain biking expeditions. Maintained by the Border Roads Organization, the pass is strategically important to India as it is used to carry supplies to the Siachen Glacier. Khardung La is historically important as it lies on the major caravan route from Leh to Kashgar in Chinese Central Asia About 10,000 horses and camels used to take the route annually, and a small population of Bactrian camels can still be seen at Hundar, in the area north of the pass. During World War II there was an attempt to transfer war material to China through this route. TAGLANG LA, elevation 17,582 feet (5,359 m), is a high mountain pass located in Ladakh region of the Indian state of Jammu and Kashmir. It is sometimes incorrectly claimed to be the world’s second highest motorable pass at an altitude of 5,325 m. (17,469 feet). 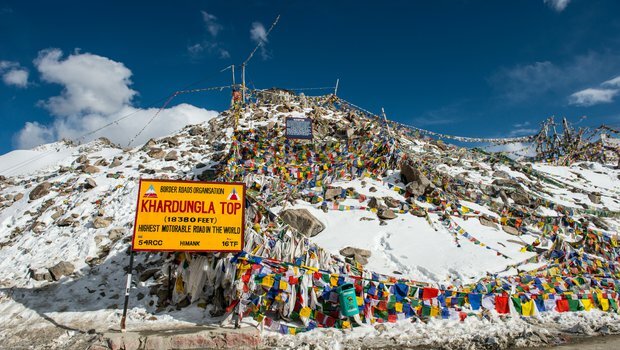 See the article on Khardung La for a discussion of the world's highest motorable passes. 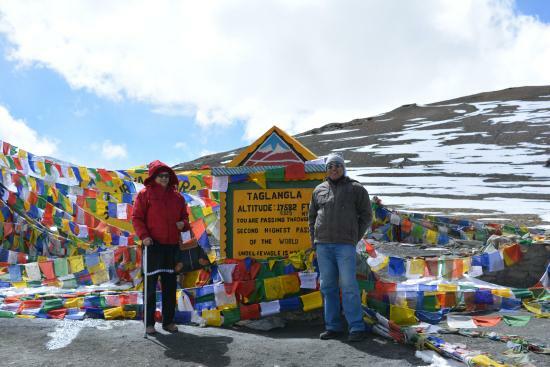 It is, however, the second highest motorable mountain pass in India after Khardung La and is reached via 21 Gata loops. It is located along the Leh-Manali Highway.